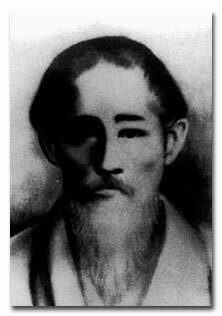 Master Kanryo Higashionna (sometimes pronounced Higaonna) became a sailor on a ship engaged in regular trading between Okinawa and China, called the Shinko-Sen. On one expedition, he rescued a child from drowning. After rescuing the child, he found that the boy’s father was Master Ryu Ryu Ko, a renowned Chinese martial artist. When Master Ryu offered him a reward, Master Higashionna asked for instruction in the art of Chinese boxing. Master Higashionna trained in China under Master Ryu for thirty years. Upon his return to Okinawa, he decided to modify the training he had received, to reflect the needs of his native country. For example, originally kata Sanchin was practiced with open hands. However, this didn’t reflect the peaceful nature of his native people, so it was changed to be being performed with hands closed. After years of dedication and hard work, Master Higashionna created Naha-te, a martial art that combined some good points of Okinawan Karate with certain elements of Chinese boxing. Master Miyagi once said, “If I devoted my time and wealth to some other enterprise, I would have been successful. But I devoted my life to mastering everything from Master Higashionna.” And so he did. After his master’s death, Master Miyagi journeyed to China twice to study and collect further literature on the martial arts. 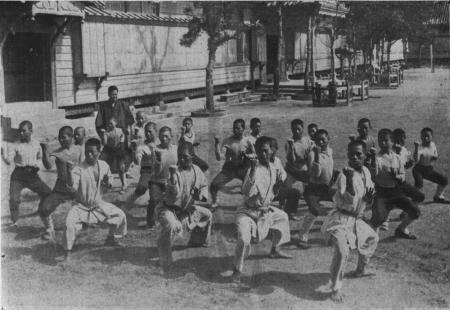 In 1933, when Dai Nippon Butoku Kai (the largest martial arts organization recognized by the pre-WWII Japanese government) was establisted, Master Miyagi, as the representative of the Okinawan martial arts, presented his article, “Karate-Do Gairyaku”, or “An Outline of Karate-Do.” As a result, karate received formal recognition as a Japanese martial art, and Master Miyagi was awarded the title Karate-Do master, the first so designated in the karate world. In 1929, Master Miyagi was asked to perform at a martial arts convention in Kyoto, Japan. Master Miyagi was unable to attend, however, and appointed one of his most respected students, Jinan Shinsato, to be his replacement. Martial artists from other schools with impressive names flooded the convention. Mr. Shinsato, though, had no ready reply when asked the name of his style. Admitting his style had no formal name would damage the reputation of Naha-te and lower him to mere amateur status in the eyes of his fellow martial artists. Mr. Shinsato groped for a title, and dubbed his style hanko-ryu (half-hard style.) When Mr. Shinsato returned to Master Miyagi, he told him of the hastily chosen name. The master, finding it quite reasonable, quoted from the Chinese Eight Poems of the Fists: “Everything in the universe is breathing hard and soft…” and so Naha-te formally took the name of Goju-ryu. Only three of Miyagi’s students were certified to open a karate dojo: Seko Higa, Jinan Shinsato and Jinsei Kamiya. Only Higa ever opened his owned dojo and taught professionally. No other student of Miyagi opened a branch dojo while Master Miyagi was still alive. 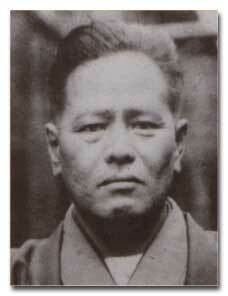 Master Toguchi joined Seko Higa’s dojo in 1933 at the age of 16. Master Miyagi would often come visit Higa’s dojo, so Toguchi was fortunate enough to have instruction from both teachers. In 1944 Master Toguchi was drafted by the Japanese army to fight in WWII. He returned to Okinawa to find his homeland in ruins. Recognizing his homeland’s need for revitalization, Toguchi committed himself to rebuilding Okinawa. When a new dojo was finally established, Master Toguchi was offered a teaching position, and taught for two years in what was then the only karate dojo in all of Post-war Okinawa. In 1952, a number of senior students decided they would make an organization to help promote the growth of Goju-ryu Karate. They named this organization the Goju-ryu Shinkokai. At that time, there were no ranks in Goju. All of the students wanted to wear black belts similar to Judo and Kendo, so they incorporated this into the original charter of the organization. Upon reading the part about the ranking system, Miyagi became quite angry and said that he would give no rank. Up until Master Miyagi’s death in 1953, there were no rankings in Goju-ryu. In 1954, Master Toguchi opened his first Sho Rei Kan dojo in Koza City, Okinawa. This dojo was very near an American military base, and the Americans were fascinated by the martial arts. 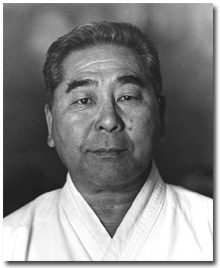 As the number of Americans enrolling in his classes increased, Toguchi developed his Hookyu (Unified) kata, Kiso Kumites (pre-arranged sparring drills) and kata bunkai in order to help the American G.I’s understand the meanings behind the moves of the kata, since he could not speak English. If it were not for the American military, Toguchi’s lineage of Goju-ryu would probably look extremely different today. 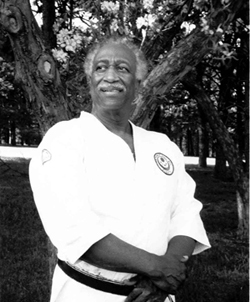 Shihan John Roseberry was a marine in the United States Military stationed in Okinawa in the 1950’s. He began training in Judo in 1955, and Karate at Master Toguchi’s dojo in 1956. He is currently a 10th dan (10th degree black belt) in Goju-ryu. He resides in Lincoln, NE, where he is the head of the Sho Rei Shobu Kan martial arts organization; an organization which strives to uphold the teachings put forth by Masters Miyagi and Toguchi. * Information on this page was gathered from History of Karate page on the Sho Rei Shobu Kan home page, as well as the books Okinawan Goju-ryu: Fundamentals of Sho Rei Kan Karate and Okinawan Goju-ryu II: Advanced Techniques of Sho Rei Kan Karate, both by Seikichi Toguchi.